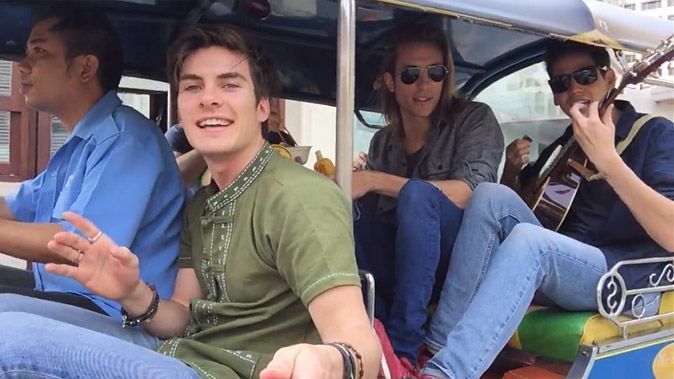 DVICIO, the Spanish band known in Thailand for its hot members and good vocals, has once again captures the hearts of Thai girls in their new video singing and eating pad Thai while on board the famous tuk tuk. Just like their viral music video “Enamorate” where they were seen singing whilst on the road, the boys did a similar thing when they asked the tuk tuk driver to go to Chatuchak market before they started to fill the air with their amazing vocals. The quintuple’s new video was viewed over 2.4 million times after it was posted yesterday – a not so surprising thing at all considering that most ladies are suckers for hot-looking boys who can sing. PARAÍSO en el Tuk Tuk! !